The UCI Center for the Neurobiology of Learning and Memory (CNLM) has partnered with the Dana Foundation and the Newport Beach Public Library Foundation to teach children about the brain during the 2019 Brain Awareness Week. Brain Awareness Week is a global campaign to increase public awareness of the progress and benefits of brain research. Founded by the Dana Foundation in 1996, Brain Awareness Week unites the efforts of partner organizations from around the world in a week-long celebration of the brain every March. 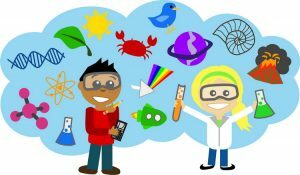 This year during Brain Awareness Week, the CNLM will be hosting a workshop as part of the Newport Beach Public Library Foundation's Making Memories for Children STEAM workshop series. During this immersive, hands-on neuroscience experience, children will have the opportunity to interact with UCI neuroscientists to learn about the brain! Children will hold real preserved brains in their own hands, they will learn about the cells that make up the nervous system and will create models of neurons. Children will also explore how brain cells talk to each other and will learn about memory and how scientists test memory in the laboratory. We look forward to seeing you on March 10th 2pm - 4pm at the Newport Beach Public Library!